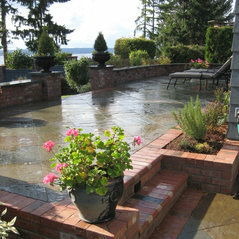 Commented: Who made the fountain?Hi, Thank you for the inquiry. 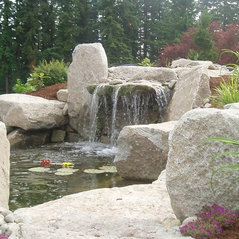 Our employees designed and built this water feature. 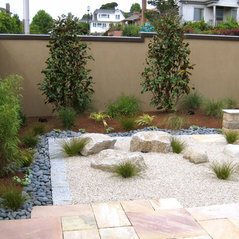 Commented: purple plantYes, the purple flowered plant is lavender. 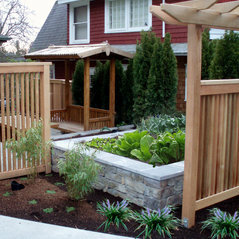 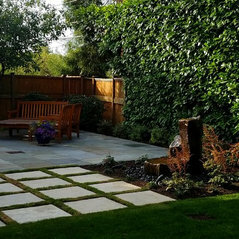 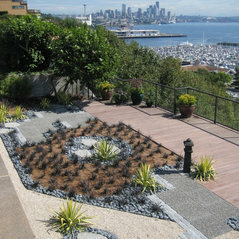 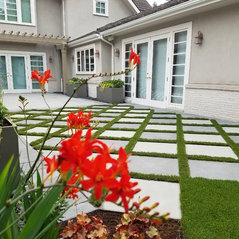 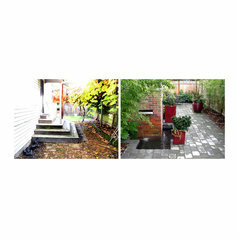 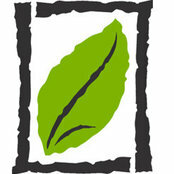 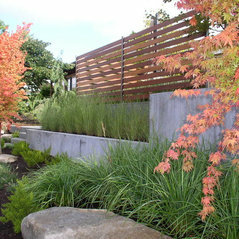 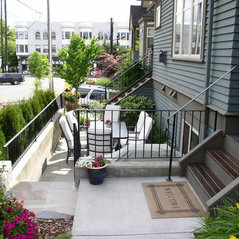 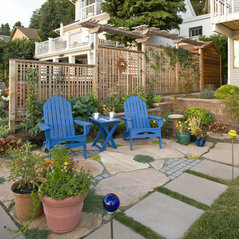 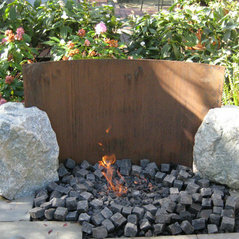 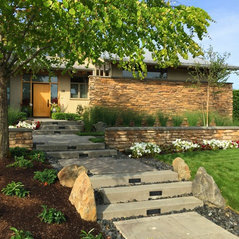 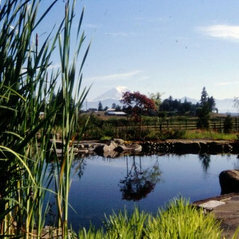 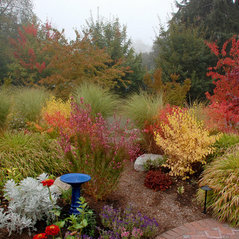 Commented: Landscape designTo get help on Houzz for curb appeal just post a picture of your house from the street/curb. 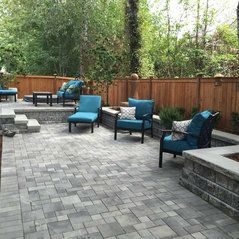 Then we can give you suggestions. 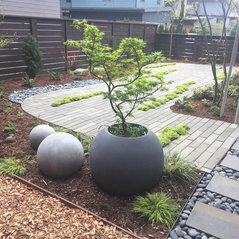 If you have specific questions just ask then.